their part number embossed in the side. 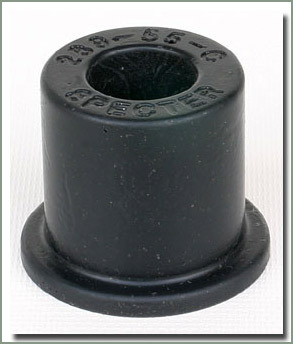 Graphite Impregnated Polyurethane is far superior to rubber for many reasons. 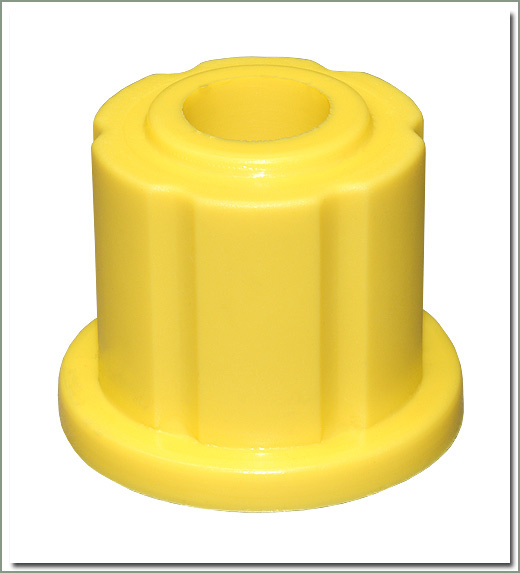 Durable and long lasting, SOR Graphite Impregnated Polyurethane Bushings withstand harsh environmental punishment without drying and cracking. 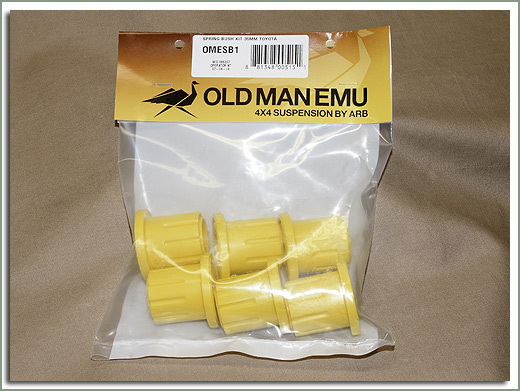 Impregnated with graphite to remove squeaking, these bushings will increase handling and are available for all Land Cruisers. A total of 24 bushings are required for the entire vehicle. Order specific bushings for the shackles and the leaf springs you are using. Sold each. 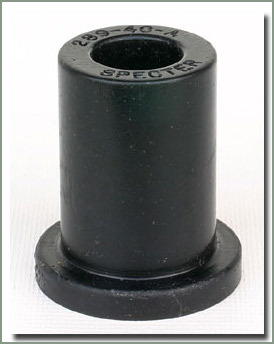 See page 288 for Aftermarket Shackles and Shackle Pins. 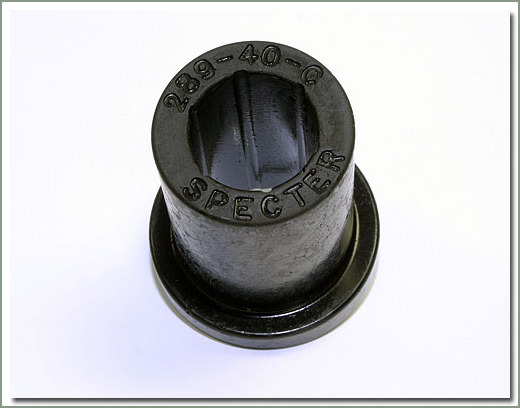 Click here for the Bushing Applications Chart and Bushing Measurements Chart at the bottom of this page. 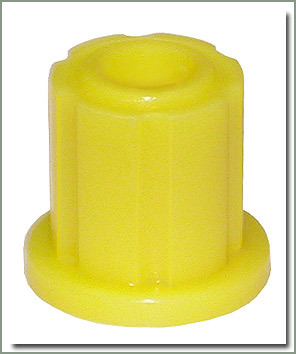 Fits 8/80-1/90 FJ60/FJ62/FJ40 - Set of 6 yellow bushings - fits stock size spring & pins. 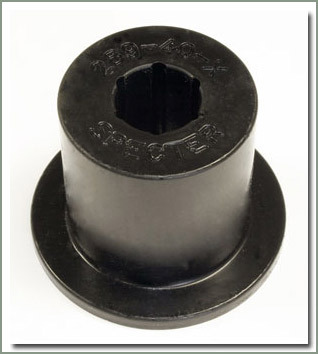 Bushing application chart below is for stock leaf spring applications. 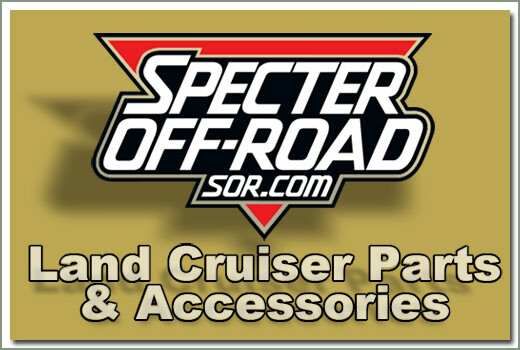 See specification chart at the bottom for aftermarket spring applications. 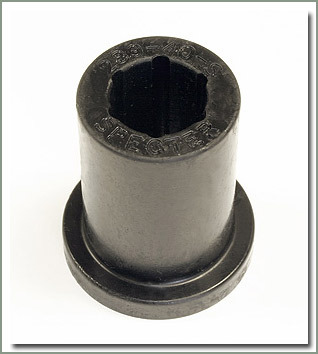 A total of 24 bushings are required for the entire vehicle. 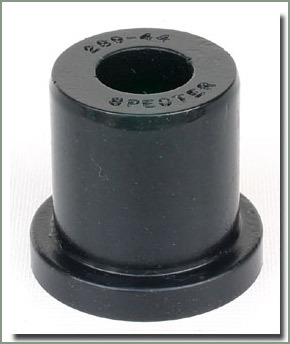 Order specific bushings for the shackles and the leaf springs you are using. Sold each. See page 288 for Aftermarket Shackles and Shackle Pins.